Laura L. Ross, 65, rural Columbia City, died Saturday, May 19, 2018, at her home. She had been in declining health. She was born Oct. 8, 1952, in Columbia City, daughter of the late Clifton M. and Evelyn J. (Breisch) Geiger. Her formative years were spent in the Wolf Lake area where she graduated from Central Noble High School. On March 10, 1970, she was united in marriage to John F. Ross. They made their home in Columbia Township, Whitley County. She was employed for 37 years with Krider’s Meat Processing, Columbia City. She enjoyed riding motorcycles with her husband. She liked to fish and looked forward to the spring when she could search for mushrooms. 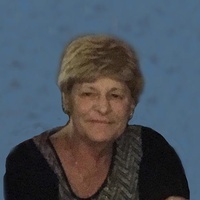 Surviving is her husband of 48 years, John; a son, John F. (Terrie) Ross, Jr., Columbia City; a daughter, Barbara (Brittney) Parrett, Columbia City; seven grandchildren; five step-great grandchildren; a brother, Cliffton E. Geiger; and a sister, Joni M. Jones, both of Wolf Lake. The funeral service will be held at 3 p.m. Wednesday at Smith & Sons Funeral Home, Columbia City. The burial will be in the South Park Cemetery. Visitation will be Wednesday from 1 to 3 p.m. at the funeral home. Preferred memorials are to the Korean War Honor Guard or VFW #5582, Columbia City.